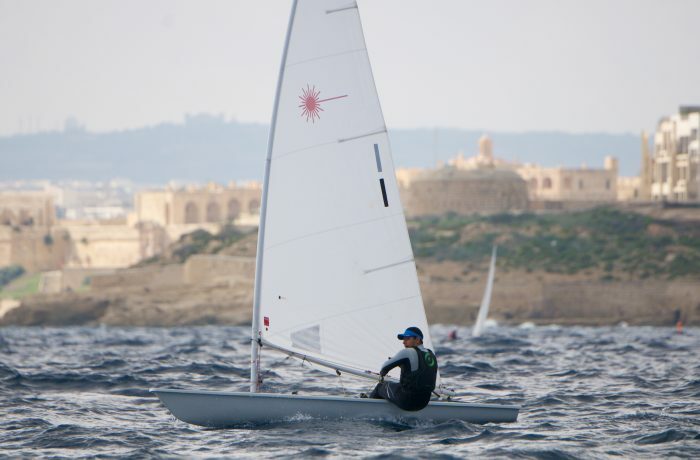 The Laser 4.7 features the same hull as the Laser and Laser Radial; a smaller sail plan make it more manageable for lighter and younger sailors. The 4.7 is the next step into competitive sailing after the Bug or Optimist. Recognized as a youth class across the world, the 4.7 is a great entry to the community of Laser sailing. The Laser Radial was introduced as the new singlehanded Olympic Class boat in 2006. It is based upon the same hull and equipment as the regular Laser but the combination of a 19% smaller sail and a shorter, more flexible mast create an excellent medium sized rig perfect for small adults and youth. Everything else is unchanged. The Radial is raced at the Club, National and International level.